If you’ve never had your make-up applied professionally, you may not have heard of Airbrush Makeup. It sounds a little confronting … the vision may be of your face being sprayed with a massive commercial paint gun! Now remove that vision from your mind and replace the thought with one of being made up like the silver-screen sirens you admire. 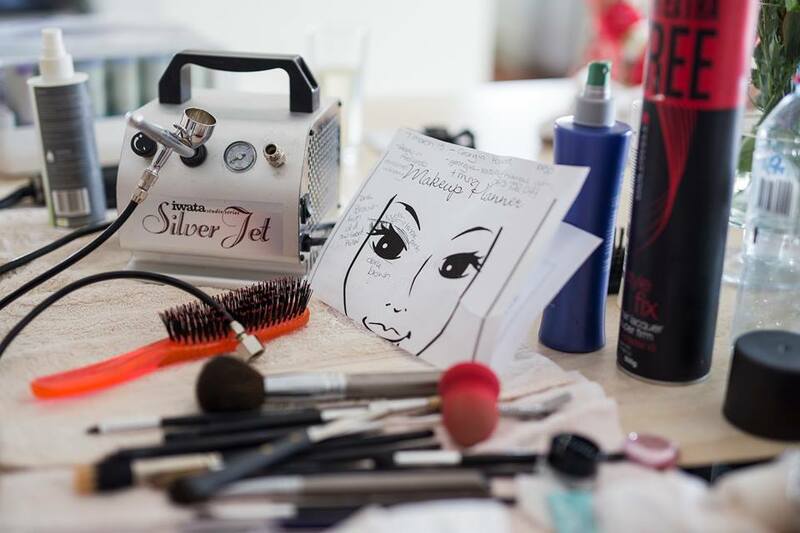 Airbrush make-up feels amazing on your face, it feels light and leaves your skin looking perfectly even and unblemished. The camera will love your wedding day look and you will notice a big difference to your traditionally applied make-up. Plus, it will last all night long!